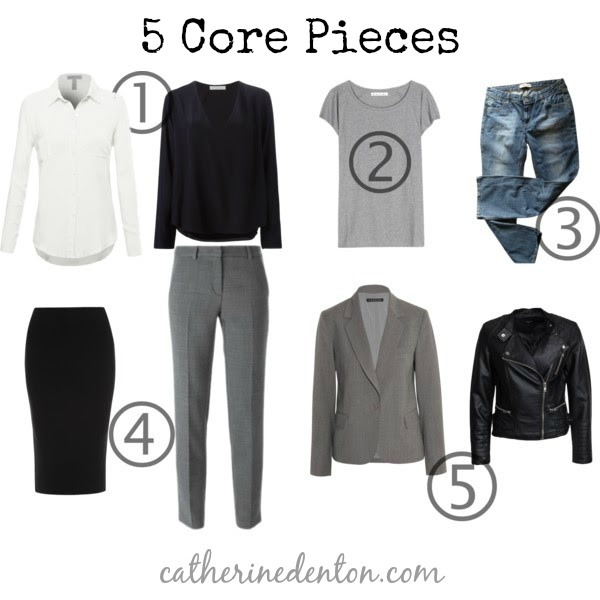 To create a wardrobe full of easy, simple outfits, you must start with FIVE core pieces. Your personal pieces may vary from the ones I've chosen, but you should keep in mind your five. Your five simple core pieces should be the foundation of all your outfits. If you keep in mind that you want to have ONE of your five in each outfit, you will reduce the stress of having to create from scratch. These five should be your workhorses, the best quality you can afford and best fit for your body. When you have the basics, all your combinations will fall into place. You will look amazing and have the stylish signature look you desire. I love that I was "with" you while shopping today, Jamie! :) That's awesome. You are going to feel so much lighter without all that STUFF!